If Yash Chopra was the king of filming the picturesque landscapes of Europe, after Highway you can easily call Imtiaz Ali the Emporer of sceneries in India. But make no mistake, this is no dreamy romance in the Alps and lakes, this is a journey of a high-society Delhi girl Veera (Alia) who gets kidnapped by a group headed by Mahabir (Randeep Hooda) and is moved from one place to another which eventually turns into a fun-filled road trip that changes her life forever. As the movie begins with the usual gundagardi treating the victim harshly, it smoothly takes a turn in the brilliantly done spine chilling scene where Veera reveals her darkest secret from childhood to Mahabir from where they start to develop a bond that is rare and unimaginable. The movie has its moments that will tickle your funny bones like the first actual dialogue between Alia and Hooda where she apologizes for her misbehavior despite being mistreated by him. Another amusing and enjoyable scene is where she suddenly plays English music and breaks into a bindaas seductive dance in the middle of the road while Hooda gapes at her in utter curiosity and surprise. This reminded us a little of a short scene from the movie Dor where the young widow played by Ayesha Takia starts tapping feet to a song while walking on a street. 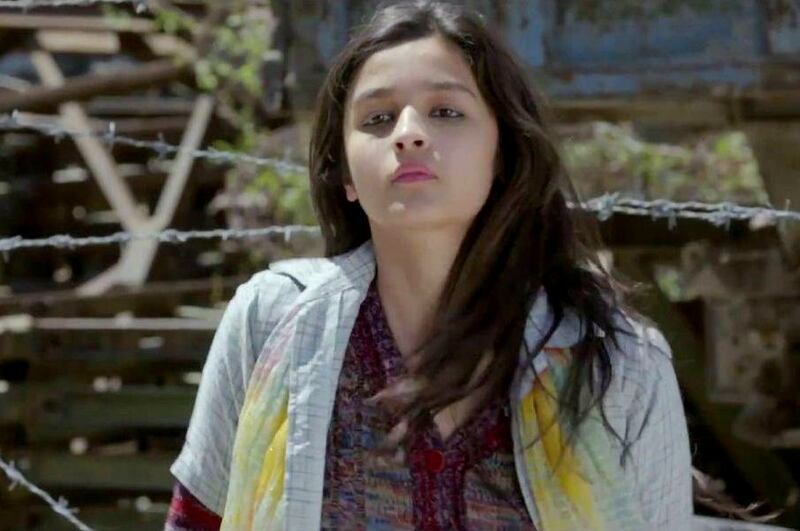 Alia Bhatt unquestionably steals the thunder despite acting very much like the bubbly, confused and over talkative heroines of Imtiaz Ali. What she adds to this typical character is the pain, frustration and intensity that definitely travel to the audiences’ hearts as they feel her anguish like their own. Hooda remains silent for most of the time and proves yet again that he is a tremendous actor as he effortlessly plays an intense kidnapper who has a hidden side to his raw character. The movie is shot on various road highways of India viz. Delhi, Haryana, Rajasthan, Punjab, Himachal Pradesh and Kashmir. The screenplay is such that you would feel like pausing the movie and capture some moments with a click. There are stretched silences, some slow moving scenes with no background scores, and that’s where you feel the magic of admiring nature in peace. Rahman’s music in the right places is as soothing as the stunning Kashmir ki waadiyan. As Pataakha Guddi spreads joy and makes you feel like dancing freely, Sooha Saha sung by Alia Bhatt takes you to a semi-trance with its extremely peaceful voice and feel. So get ready for an adventurous journey on this Highway that will take you some miles away from your comfort zone through a roller coaster ride that will shake you, but will be totally worth it !